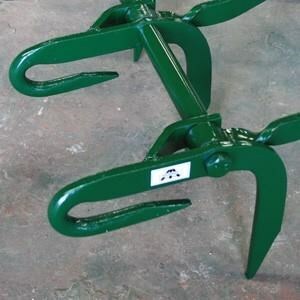 If your ground is uneven, roughly cleared or contains light stony areas then the flexible Murray series 08 Stump Jump Harrow is the secondary tillage implement to consider. 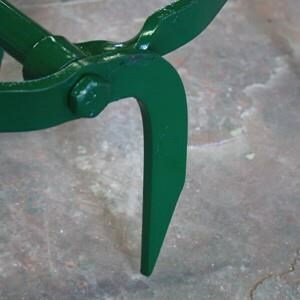 Ruggedly constructed using High Carbon Steel, the floating stump jump action is a time tested agricultural implement. 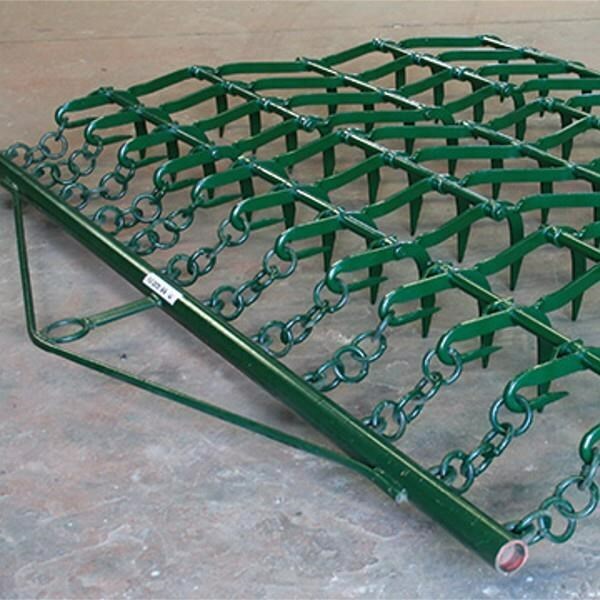 Suitable for breaking down clods, final seed preparation of ground and levelling pugged up or packed down heavy pasture country, Stump Jumps are also ideal for use in the preparation stage of vegetable growing and weed control. Each Stump Jump section is attached to the drawbar by four hitching points one ahead of each row of tines, to ensure true tracking and correct stump-jump action. Sets complete with drawbars range from coverage of 1.72mm (5ft 8in) to 8.63m (28ft 4in). Available as a Lift Type set utilising our Series 21 Three Point Linkage Hoist Frame for ease of transportation. Set includes Front Lift Drawbar, Harrow sections, Rear Lift Drawbar including Lift Clips and Hoist Frame. Tine spacing 44mm (1 3/4in). Tine length 197mm (7 3/4in) approx. Centre to centre of Front Hooks 222mm (8 3/4in). 5 Ranks / 20 Tines. section. Manufactured from 32 x 10mm carbon steel. COMPLETE SET COMPRISES Front Lift Drawbar, Harrow sections, Rear Lift Drawbar including Lift Clips and Series 21 3-Point Linkage Hoist Frame.